If you were injured in an accident caused by negligence — careless, drunk and distracted drivers are prime examples — the help you need is as close as our phone. 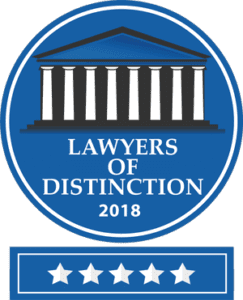 One call to experienced Denver personal injury and wrongful death attorney Brian S. MacKenzie can set the wheels in motion, to level the playing field and gain the maximum financial compensation you deserve. As your lawyer, Brian uses all the resources and knowledge that his MacKenzie Law Firm can muster, to help you recoup medical bills, lost wages and the cost of replacing a destroyed motor vehicle, for example. He knows how to deal with uncooperative insurance companies, and how to expose their tactics in a courtroom if needed. At every stage of the legal process, he is your trusted advocate and adviser, someone with a keen understanding of your needs and goals. To discover whether you have a personal injury claim, please call us at your earliest opportunity. Speaking with us, and retaining us to work for you, costs you nothing. The only reason you would owe legal fees is if we win your case in court or negotiate a financial settlement that you approve of. So contact MacKenzie Law Firm today in greater Denver, Colorado. Our Boulder office is opening soon. Call 720-316-0224 or remain at this website to communicate with us. Home and hospital room visits are available on request if your accident injuries prevent you from traveling.